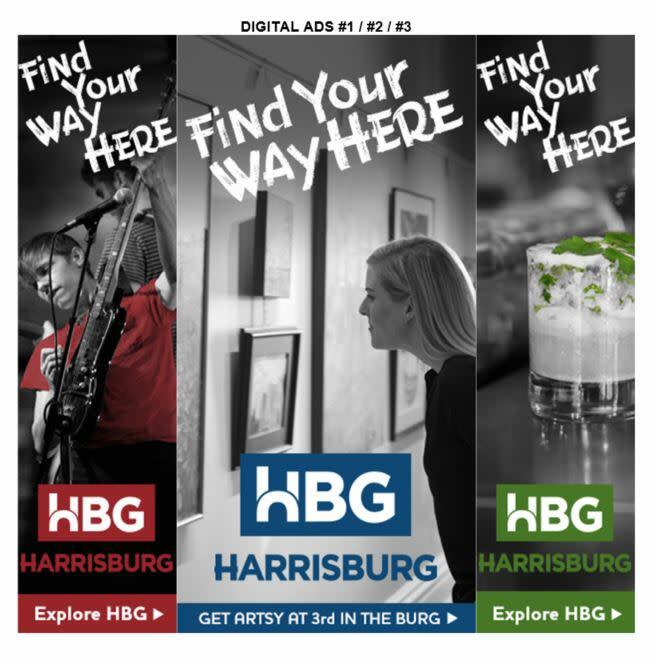 New "ExploreHBG" campaign to promote Capital City to Millennials throughout Central PA.
Harrisburg, PA (Nov. 5, 2015) – The City Tourism Marketing Committee and the Hershey & Harrisburg Regional Visitors Bureau today unveiled the real Harrisburg Tourism Branding Campaign behind the teaser campaign that first began appearing locally on billboards on October 17, 2015. 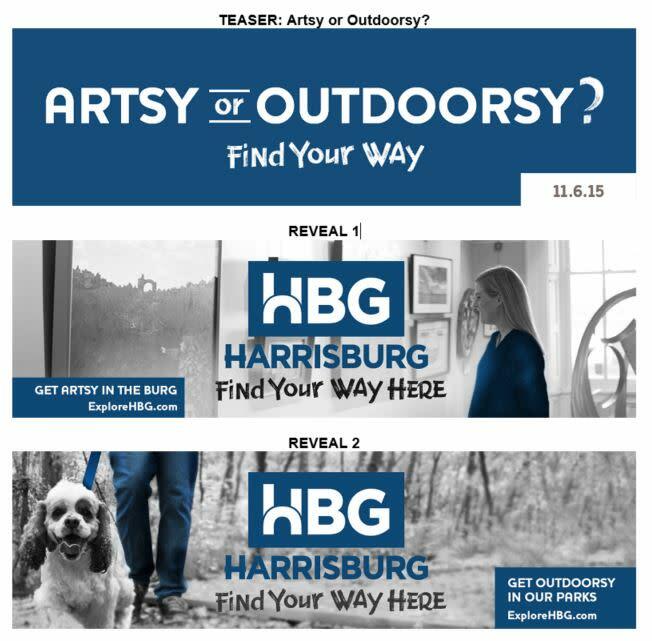 Today’s sneak peek of the "ExploreHBG" advertising and web site was attended by regional media outlets, community business leaders, and tourism stakeholders who participated in the development of this new campaign. 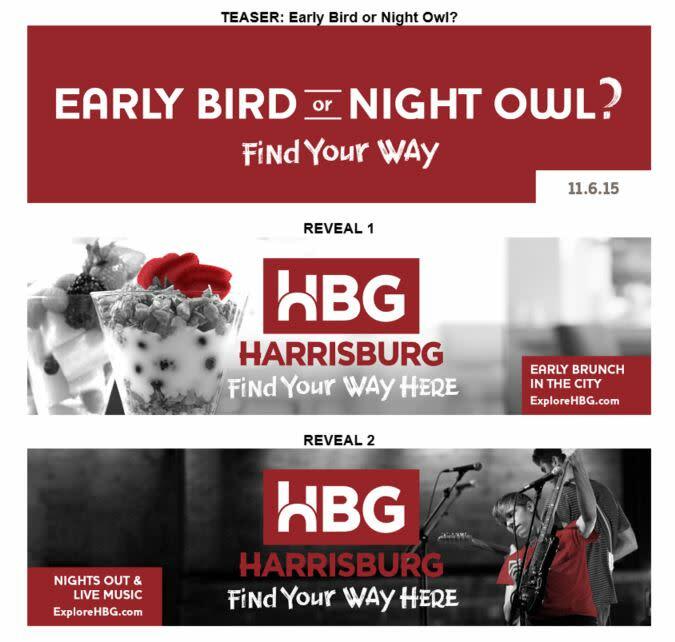 "The goal of the new branding campaign is to build a strong tourism brand identity for Harrisburg and to begin actively promoting all the activities and experiences in the city," said Mary Smith, President & CEO for the Hershey & Harrisburg Regional Visitors Bureau. The target audiences are millennials primarily with a secondary older demographic, both living within the “HLLY” area which refers to the media markets of Harrisburg, Lancaster, Lebanon, and York, according to Smith. Attendees of the launch also viewed a video entitled “Harrisburg Is” that captured testimonials from local residents and visitors expressing what they love most about the Capital City. The official launch of the new campaign actually began on October 17, with billboards that were strategically designed to tease the new campaign several weeks before the scheduled reveal. 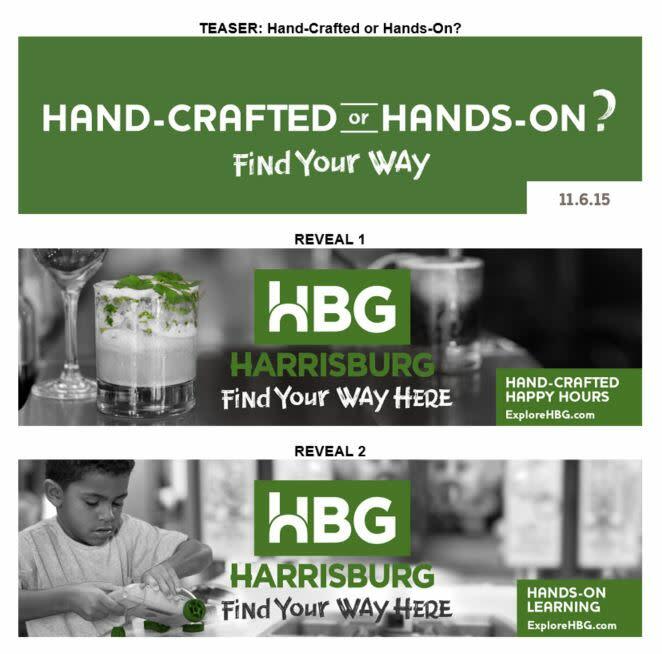 The strategy helped to peak interest in the local community while also providing the developers additional time to complete and test the new web site www.ExploreHBG.com. The campaign and web site were always intended to roll out and expand in stages, according to tourism officials. The teasers were the first phase of the advertising along with the development of the new web site, which would then continue to expand with additional sections being added to feature: Calendar of Events, Arts & Culture, Dining & Nightlife, Outdoors, Family Activities, Shopping, and Blog. The second stage of advertising, slated to begin on Friday, November 6, will include more detailed messaging and dynamic imagery of the city and experiences, according to Smith. The advertising campaign will also expand to include more billboards, digital and online advertising, and Pandora radio spots. The HHRVB is the official non-profit partnership-based Destination Marketing Organization (DMO) leading economic growth for Pennsylvania’s Hershey & Harrisburg Region through destination marketing and tourism development. The organization, accredited by Destination Marketing Association International (DMAI) since 2010, is committed to actively marketing the tourism assets in Dauphin & Perry County to business and leisure travelers both domestic & international. The bureau also leads regional sales efforts to attract meeting & event organizers, sporting event producers, and group tour leaders. For more information go to VisitHersheyHarrisburg.org or call 877-727-8573. Media can use #HHRVB and #HHRVB4Media when tagging stories and social media posts related to the region.